It’s not necessary to have a brick and mortar shop today when we talk about providing a unique product or service to your customers. If you own online eStore, enable the customer with the capability to design their product as per their creativity with the latest apparel design software. People usually tired of wearing the same kind of old apparels like t-shirts, polo, sweaters, etc. It will not be surprising that you enable your customers the ability to ensure what they want to wear, when they want and how they want to. Below, we will provide you some reason and benefits to provide your customers with the ability to make anything with apparel design software. This is one of the biggest reasons why customers like to design it. The day has come when you are confined to some colors, patterns, designs or even people when it comes to what you have worn. They say that a picture says a thousand words and whatever you wear is representative of who you are. The ability to make your customers easily want, what they want and how they want it with clothing design software is a great idea. This will allow you to isolate yourself and set up your customers for the first time when it comes to making something that they like. If your customers create as per their likings and you enable them with the ability to’ they will not wear it often but also come again to the website as they will feel high flexibility and uniqueness’ which they are seeking to. If you have online software, you can design any apparel that is essential for you, before making a purchase, give your customers a real look and feel for your products. Customers can view full 360-degree rotation with color customization, logos, text features, etc. When the visitor visits to the website, our tailored solutions will give them a great feel to them. Everyone wants to try it before buying, but if they make it themselves, then this is a different story. Older design tools were limited to desktop applications only because they were created in Flash. Nowadays, selecting cross-device responsive software will enable the customer with the ability to design anything no matter they are using a laptop, desktop, and smartphones. This will make them comfortable with the customization you are offering. The new Designer Tool app is built with HTML5 and JQuery so that they can work on any device. Convenience and user-travel are important when it is about product customization software that will be adopted by your users. Anyone using you, no matter who you are, should be able to provide you the ultimate convenience. For product design software, it is necessary to work on e-commerce platforms (Magento, WooCommerce, Shopify, Prestashop, etc.) without any flaws. For this reason, selecting product customizers is a great idea that has been developed primarily in such a way that it can integrate with any ecommerce platform no matter on which the website is being developed. For example, if you pay for Magento eCommerce website, then you have to do good to choose Magento’s Product Designer for this kind of way. To maintain the quality of the product, it is of great importance that the print you take is of high quality as per the customer’s expectations. And for this, you need to make sure that your software provides the best product results out of customization. If the final output is already of the best quality, then there will be no need to hire a dedicated designer to make the edit the output before final delivery. If you want to expand your business worldwide, the first thing is to empower the online clothing design software with multilingual language. It is possible through multiple language support tool that can change the front end as well as back end interface as per the desired language. View local languages and areas in important countries that you want to target your business. Tailored solution gives your customers the ability to do something as per their likings. This gives you greater visibility on your website and allows you to generate more revenue by giving your customers a unique product. If you are looking forward to trying unique and stand tall from your competitors, then apparel design software is something you must need as it will just look great across all devices. If you are looking forward to the company for developing cloth customization software, then drop us a mail at info@idesignibuy.com and feel free to reach us for any query related to developmental needs. 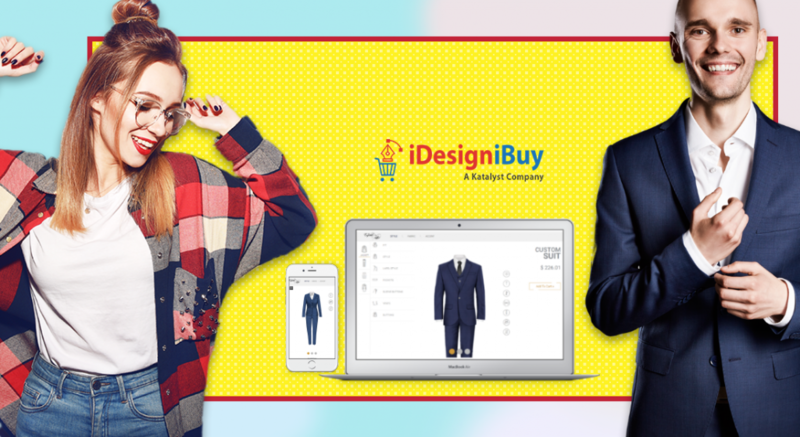 Next Next post: Why Opt iDesigniBuy As Your Customization Software Provider?